software Classic : FREE DOWNLOAD of AmiKit 9 "Reloaded for Mac"
In 2017, we released a special version of AmiKit 8 fine-tuned for Mac computers. 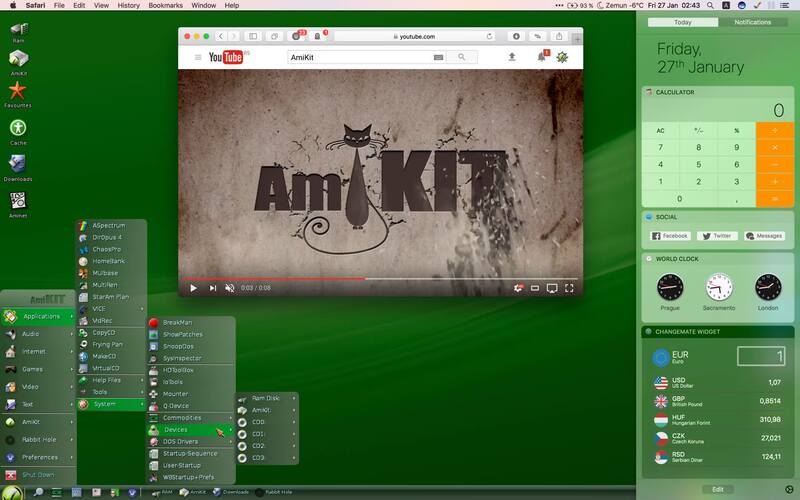 This "Reloaded" version, also called AmiKit 9, runs much faster than any previous AmiKit on Mac. Now it is available for free download! 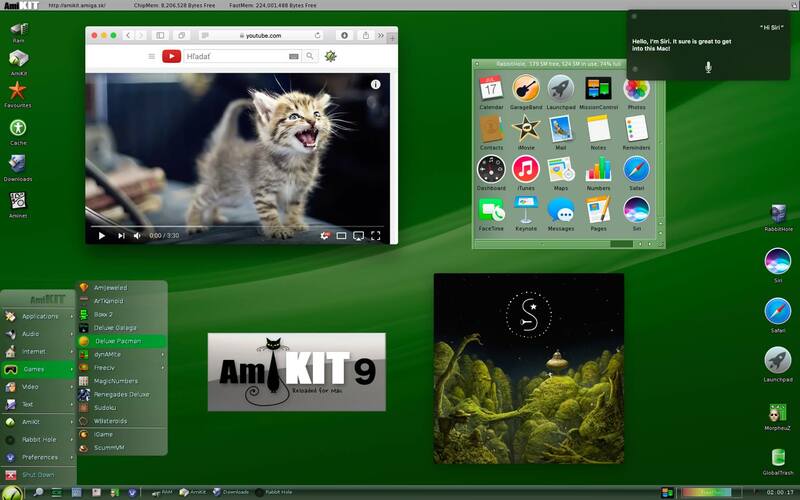 AmiKit 9 "Reloaded for Mac" uses WinUAE emulator running on Wine. This concept, paradoxly, is faster and more stable & compatible than any other solution. On top of that, it includes "Rabbit Hole" which allows you to launch Mac apps directly from Amiga desktop! Also you can open Amiga files with your favourite Mac apps! For example, double-click "AmiKit:Welcome to AmiKit" to see what I'm talking about. AmiKit turns your computer into a powerful emulated Amiga desktop with hundreds of pre-installed and pre-configured programs. We've done all the hard work for you. For any AmiKit version to work you do need AmigaOS3.x and ROM3.1 file. AmiKit 9 for Mac requires macOS 10.10 or better (it might run on 10.8 too but that's not confirmed). Re: FREE DOWNLOAD of AmiKit 9 "Reloaded for Mac"
I wasn't aware of a WINE port to OSX. Thought that was a Linux only thing. But seriously it works faster through a Windows emulator than as a native OSX app? Something is wrong with OSX there. Can Windows be speed up by running it through WINE instead? LOL. So they say. But the purpose of WINE is to emulate the Windows API. Or simulate if the WINE creators don't like the emulate word and have a hangover at the very mention of it. WINE is an implementation of the Windows API, not emulation nor simulation. That said, using WINE on a Mac is pretty awkward, I would prefer a simpler AmiKit that would just launch from FS-UAE. Last edited by kolla on 14-Aug-2018 at 12:11 AM. Feel free to use FS-UAE with AmiKit, of course! Last I tried, it gurued (with non-obvious guru #) with FS-UAE, and went into an endless reboot cycle, despite setting up a pretty much identical target profile as that in WinUAE. I was not motivated enough to debug what the cause was.